It amazes me how many people have very strong views about whether or not expectant parents should have a baby shower for every child. There have been audible gasps and sideward comments when others I know have dared to send an invite to celebrate the latest bundle they are cooking. It made me very hesitant to even consider a follow-up to the amazing shower a circle of close friends threw for me ahead of my firstborn. But after much persuasion, I have agreed to a smaller scale outing and here is why. Before I become thrust back into the world of newborn nappy changes and night time feeds, before true sleep deprivation takes over again and my speech takes an upward octave, I want to enjoy the adult company of my friends – free from spit up on my clothes. Heck, I may even put on some lippy! I have dropped the ‘shower’ from baby shower to make it clear my intention is not to make another grab for gifts, which I must say was never my focus the first time around either. My nursery is already pretty well set up, my baby won’t need for anything. But one of my best friends has organised an afternoon of high tea and I cannot wait to talk all things babies while chomping on some cake and macarons with just a few close friends who live nearby. 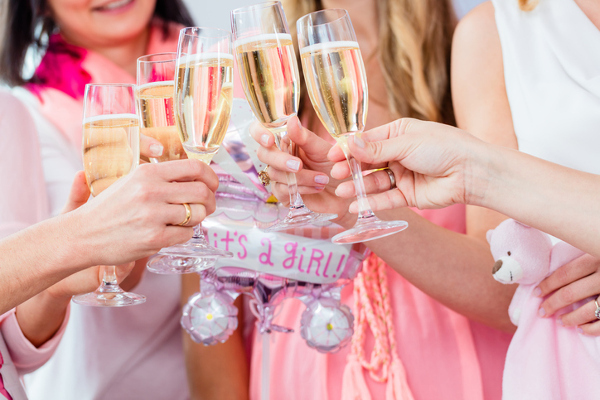 Many may think of baby showers as being an opportunity to prepare first-time expectant mums for their little arrival, and they are. But like most magic milestone celebrations they have evolved in so many ways. From including both genders so dads don’t miss out on the fun, to including elaborate games or even just resembling a carefree girls’ night out. 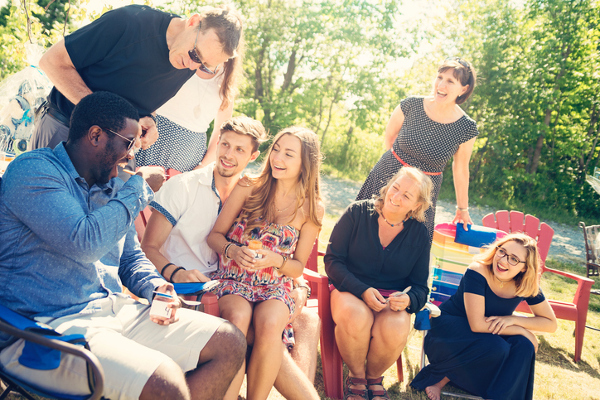 Baby-ques (aka a BBQ to celebrate your bub’s impending arrival) are all the rage at the moment, low-key and dad-inclusive, it is simply a celebration to mark a new chapter in your life, the same way you would celebrate a birthday or wedding. 3. We deserve some fun – having a baby is stressful! Some women may breeze through pregnancy, I am not one of them. As if getting pregnant wasn’t hard enough (thanks IVF), the morning sickness, swollen feet, painful sciatica, sleeplessness, not to mention the constant worry that something might go wrong, is no walk in the park. There is plenty to be excited about so why not take a moment to make that the focus and have a bit of fun? I have opted to have a baby high tea – aka a high tea where conversation will likely revolve around babies. But the options are really only limited by your imagination. Baby sprinkle – where the games are just as crazy as a shower and the presents are no longer the focus. Baby barbecue – where an expectant-mum and dad both get in on the fun by sharing a backyard barbecue with mates. Baby spa day – where mum and a few close friends go for a massage and some pampering. Every baby is special and adds a whole lot of love, joy, challenges and personality to the lives of those who already love them. If that isn’t a reason to celebrate, I don’t know what is. Close friends and family, many who have been with me every step of the way, want to celebrate my baby almost as much as I do. Who doesn’t want to surround themselves with that kind of love, support and positivity before things get all too real and sleep deprived? When I fell pregnant for the second time, I made up my mind I wouldn’t have a baby shower and I would delay setting up baby’s room because I was so busy with my first. I was worried what people would think and I let that drive my decision. To this day, I deeply regret that mindset because I went on to lose that little girl when I was 18 weeks pregnant. For all the grief that followed her passing, I wish I had taken the opportunity to celebrate her more when I could. Now I just believe it is a personal choice. If you want to celebrate your little one, whether they be number one or 20, go for it! This little rainbow baby girl I carry is helping me and all those who love her heal in so many ways.